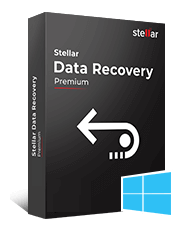 Stellar Undelete Email for Outlook is a proficient deleted email recovery software that safely recovers lost or deleted emails from MS Outlook mailbox. This distinct feature allows users to use the proprietary algorithms of the software and search for OST or PST files in any folder, subfolder, or volume in the system. Use the ‘Find’ option in case you cannot locate the exact file-path, however, ‘Find’ option allows to select only one drive at a time to locate the data files. 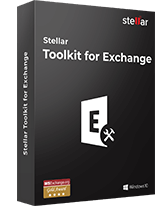 Stellar Undelete Email for Outlook Software ensures recovery of all deleted emails. The software preserves the exact folder structure of the OST or PST file and provides all mailbox items in original format, after Outlook recovery. Performs a reliable deleted mail recovery without damaging the original file. The software shows a list of deleted emails in various mail folders of your PST or OST file after completing the scanning process, successfully. The Left pane shows the complete list of folders and the right pane shows a preview of mail content. The numeric digit beside a particular folder denotes the number of recovered deleted mail items. 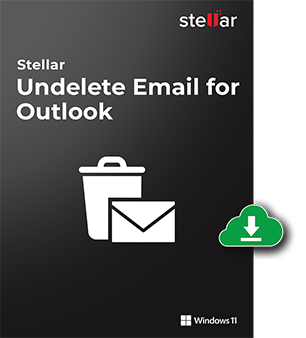 Stellar Undelete Email for Outlook Software performs recovery of deleted emails including their attachments, contacts, calendars and more from MS Outlook OST files and recovers the deleted mail items in multiple formats. View the recovered mailbox items in MS Outlook by importing the PST in Outlook email client. The software allows you to select and save only the desired emails of the Outlook Data file – OST and PST, after completing the scanning process. The Selective Recovery of emails feature helps you save a considerable amount of effort when you need to recover only a few specific emails. 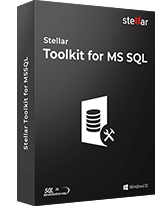 Maintains data consistency after Outlook file recovery, and saves the recovered emails in PST, EML, HTML, PDF and RTF file format. These files can be easily accessed by importing them into MS Outlook. Deleted email recovery software ensures that the recovered mailbox is saved as new PST on desired location including network drives. The location can be any disk, that includes Network location and external media, and are visible to host operating system. The software records information about all tasks performed during the recovery process in a log file and allows you to save this log at any desired location in your system. Recovery Log file helps in verifying the recovered mailbox contents. With the help of this software, MS Outlook users can recover and restore all deleted items from the PST file. These include emails, calendars, contacts, notes, distribution lists, journals, appointments, and tasks. Also recover all attachments available in PST file. 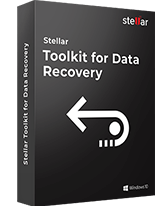 With Stellar Deleted Email recovery software, users have an option to restore the deleted emails from encrypted OST and PST files. The software also retrieves data from password-protected Outlook Data files, without compromising the security of confidential user data. The software recovers all the email attachments irrespective of their file extension. These attachments can be in the form of Excel Worksheets, Word documents, images and so on. The software allows to arrange scanned emails and messages on the basis of Attachments and more. Scan the OST or PST file and save the scanned information available in .DAT extension at a preferred location. Next, load the scanned data in the software and save the recovered deleted emails and other mailbox items in the preferred file format. I have deleted my emails, how do I recover it using the deleted email recovery software? I need to recover my deleted emails in .msg format, how do I recover the same? After importing the recovered file I am not able to see my deleted Outlook emails? After you import the recovered file in MS Outlook, you can see a folder named 'Lost and Found'. This folder contains all the recovered deleted E-mails. I have recovered my emails and am not able to see my contacts which I have accidentally deleted? To locate the contacts in recovered data file, open outlook then press Ctrl+Shift+F then choose "contacts" and click on "find now" and the software will show you all the contacts that are in the PST file. Can I retrieve deleted Outlook emails/items from corrupt Outlook Mailbox? Yes, the software provides an option to recover the deleted items from corrupt Outlook mailbox. Is Outlook should be installed on the system before starting the recovery process? Yes, install MS Outlook on the system for successful recovery of deleted emails. 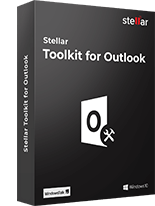 Stellar Toolkit for Outlook is a comprehensive software package to manage and optimize Microsoft Out..
Stellar Splitter for Outlook software is a very robust & powerful tool that helps you split larg..
With Stellar Merge Mailbox for Outlook software, you can easily merge or join multiple Outlook PST f..